Tension continues to rise on the Greek Aegean island of Chios, one of the hotspots for the migrant crisis as rumors of a new migrant camp being constructed are circulating. 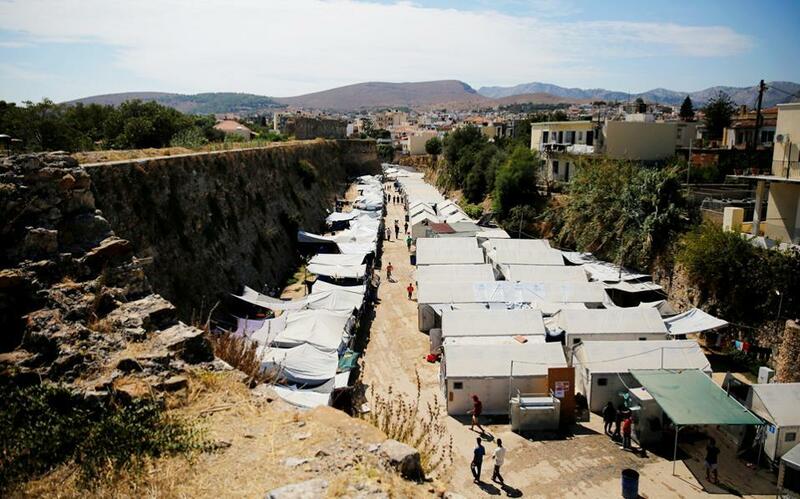 As the overcrowded migrant camps on the islands have been the focal attention of many human rights groups, Greek authorities have reportedly started making plans to prepare an additional camp on Chios at the Kagiava army camp in the center of the island. The information circulating has made local residents tense as it seems there is no real solution to moving the migrants from the island anytime in the near future. There are currently over 60,000 migrants stranded in Greece awaiting their asylum claims to be processed. They can not move forward to other EU destinations as FYROM and other EU countries have shut their borders to migrants in the spring of 2016.